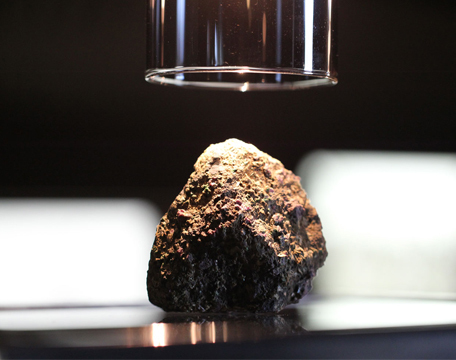 The Cape Town Diamond Museum will have on display at the Tourism Indaba some rare specimens dating 3.5 billion years old. 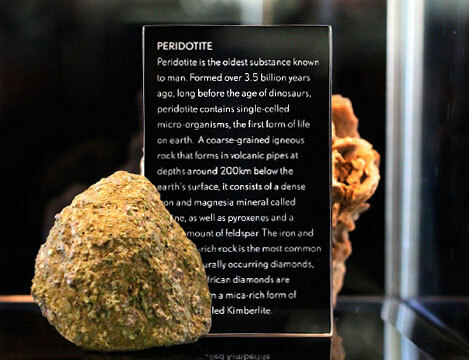 Visitors are invited to view Peridotite, a dense, coarse-grained igneous rock that is the oldest substance known to man and formed long before the age of dinosaurs. Peridotite contains single-celled micro-organisms, the first form of life on earth. This rock forms in volcanic pipes at depths around 200 km below the earth’s surface consisting of dense iron and magnesia mineral called olivine, as well as pyroxenes and a small amount of feldspar.The iron and magnesia-rich rock is the most common host for naturally occurring diamonds. South African diamonds are obtained from a mica-rich form of Peridotite called Kimberlite. Make sure you don’t miss out on the opportunity to see this phenomenal specimen that will be on display at the Cape Town Diamond Museum stand DEC1E03 at the Tourism Indaba. The peridotite will be on display at the Cape Town Diamond Museum from 18 May onwards.